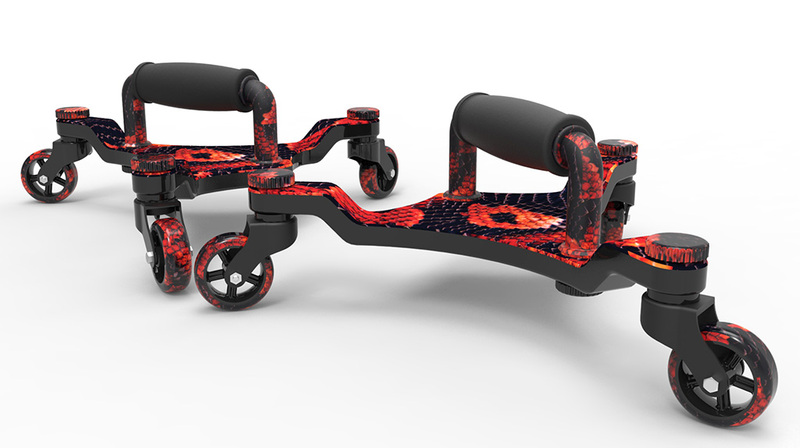 This is not yet available to the general public, but we plan to let our customers choose the color of their Swivel Trainer and even have the ability to remove the “Swivel Trainer” logo or add their own images on the caster caps. It’s literally one of the only fitness products on the market you can truly personalize and make your own. The following images are ONLY EXAMPLES. These are using REAL print designs available to place on the platform (and caps), but the images below are only for demonstration purposes. Pricing will vary depending on how much you want done.